Here are some things to steer clear of during the holiday and winter season! Lilies- typically found in holiday flower arrangements, several varieties can be deadly to cats. Tiger, Asian, Japanese Show, Easter, Stargazer and Casa Blanca lilies all potentially cause kidney failure in cats. Poinsettias- contrary to popular belief ingesting this holiday flower is not severly toxic to our pets. They can be irriting to the mouth and stomach if eaten, and therefore can cause mild vomiting or nausea. Mistletoe- when eaten, this can often times just cause gastrointestinal upset but has the potential to cause cardiovascular problems. Holly- vomiting, nausea, diarrhea, and lethargy are the symptoms to look for if your pet eats this festive plant. Chocolate- in order from most toxic to least toxic- baker’s, semi-sweet, milk chocolate. Keep in mind that a lot of holiday sweets are wrapped in foil and this can also be irritating to your pets GI tract as well as a potential cause for blockage. *Christmas Tree water- sometimes contains fertilizers which can cause stomach upset. It is also a breeding ground for bacteria that can lead to vomiting, nausea, and diarrhea. Also if you have a real tree- make sure it is secure to prevent pets from knocking it over. *Electric Cords – your pet is at risk for electrocution if chewed. Avoid exposure by hiding or covering cords. *Batteries- batteries contain corrosives that can ulcerate the mouth, tongue, and the rest of the GI tract. *Glass ornaments- Can cut the mouth, tongue and rest of the GI tract if eaten. If your pets seem interested in ornaments- a suggestion would be to decorate the bottom third of the tree with wood or plastic ornaments that won’t break. Antifreeze- unfortunately, antifreeze tastes sweet to pets, and very small amounts of it can be lethal. If you think any amount (even just a teaspoon) has been ingested by your pet, contact your vet or the ASPCA Animal Poison Control Center immediately ( 1-888-4ANI-HELP). Ice Melting products- can be irritating to skin and mouth. Symptoms include excessive drooling, vomiting, and lethargy. Rat and Mouse killers- used more commonly during cold weather. Just make sure they are in places your pets can not reach them. This entry was posted in Holiday dangers, Holiday Hazards on November 29, 2009 by yourfriends. This is Katie and her friend Max. 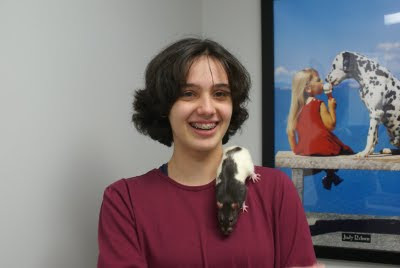 Katie is a high school student that is volunteering at our hospital so that she may learn more about Veterinary medicine. This entry was posted in Katie, Max, Volunteer on November 27, 2009 by yourfriends. 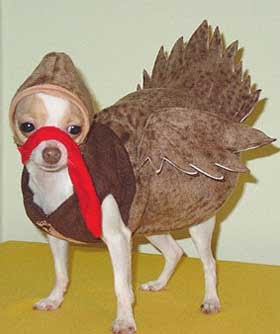 The veterinarians and staff of Kingsbrook Animal Hospital would like to wish everyone a Safe and Happy Thanksgiving. This entry was posted in Holiday Hazards, Thanksgiving on November 26, 2009 by yourfriends. Dachshunds are the smallest breed of dog used for hunting. They are low to the ground, which allows them to enter and maneuver through tunnels easily. Dogs can hear sounds that are too faint for us to hear, and also can hear noises at a much higher frequency than we can. 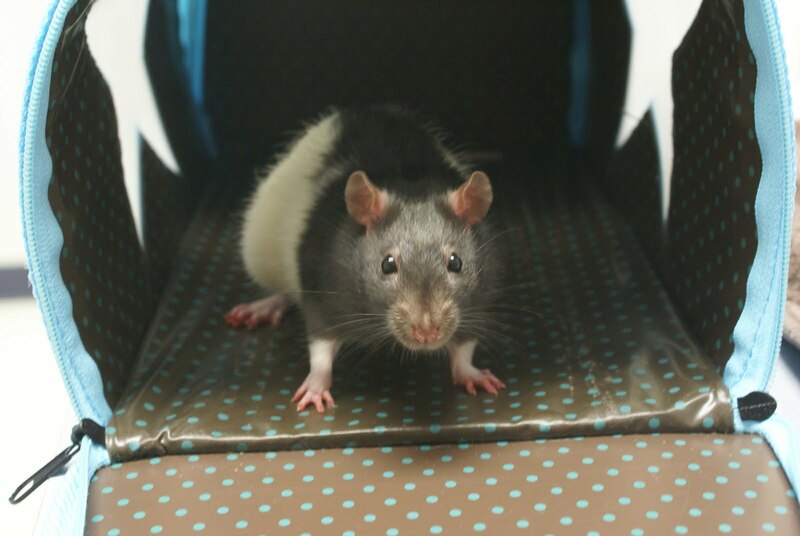 Their hearing is so good that they probably rely more on sound than on sight to navigate their world. Dogs’ eyes have large pupils and a wide field of vision, making them really good at following moving objects. Dogs also see well in fairly low light. Dogs have far fewer taste buds than people — probably fewer than 2,000. It is the smell that initially attracts them to a particular food. Dogs in monuments: The dog is placed at the feet of women in monuments to symbolise affection and fidelity, as a lion is placed at the feet of men to signify courage and magnanimity. Many of the Crusaders are represented with their feet on a dog, to show that they followed the standard of the Lord as faithfully as a dog follows the footsteps of his master. 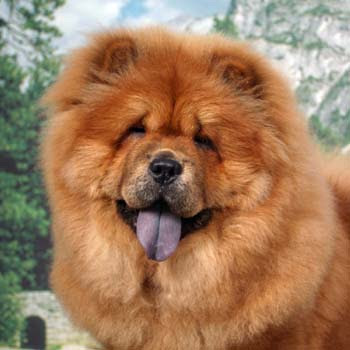 Every known dog except the chow has a pink tongue – the chow’s tongue is jet black. For Stephen King’s “Cujo” (1983), five St. Bernards were used, one mechanical head, and an actor in a dog costume to play the title character. This entry was posted in More Dog Facts on November 25, 2009 by yourfriends. One litter box per cat, plus an extra box, is the best formula for a multi-cat household. People who are allergic to cats are actually allergic to cat saliva or cat dander. If the cat is bathed regularly, allergic people have better tolerance to it. Perhaps the oldest known female cat was Ma, from Devon, who was 34 when she died in 1957. Purring is part of every cat’s repertoire of social communication, apparently created by the movement of air in spasms through contractions of the diaphragm. Interestingly, purring is sometimes heard in cats who are severely ill or anxious, perhaps as a self-comforting vocalization. But, more typically, it is a sign of contentment, first heard in kittens as they suckle milk from their mother. Siamese cats originated in Siam—modern day Thailand. Legend has it that they were the companions of kings and priests and that they guarded temples. Some trace Siamese origins to Egypt and Burma, but many dispute this idea. Siamese were first brought to England in the late 1800s. 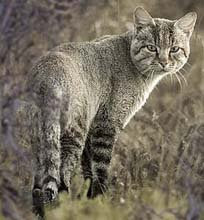 The ancestor of all domestic cats is the African Wild Cat, which still exists today. This entry was posted in More Cat Facts on November 22, 2009 by yourfriends. Routine dentistry is the WAY TO GO! Staying on top of your pets oral health has many benefits to your pet as well as your pocket book. There are a variety of things you can do at home to maximize your pets oral health. You always have to consider that both dogs and cats have genetic influences and breed predispositions that effect the degree of dental disease they deal with. Some animals can be much more challenging to keep healthy than others. The number one thing any pet owner can do for any variety of dog or cat is brush their teeth daily or at minimum 3 times a week. This has all the same benefits it does for us as humans. Other things done at home are to provide dental diets, appropriate chew treats that promote plaque and tartar reduction, and oral rinses that minimize the bacterial load in the mouth that precursors plaque formation. If needed, getting your pets teeth professionally cleaned by your veterinarian before there is significant dental disease and even teeth that require removal is ideal. It is much cheaper to perform a ROUTINE DENTISTRY than it is to address a mouth with progressive dental disease that includes severe tartar, gum recession, root exposure and even infected or fractured teeth that need to be extracted. It is also important to consider the systemic effects progressive dental disease has on your pets heart, lungs, liver and kidneys. Ultimately we all have a common goal of maintaining our pets comfort and quality of life and diseased teeth are not comfortable. The veterinary technicians at Kingsbrook Animal Hospital will always be glad to help you grade the progression of dental disease in your pet and help you come up with a plan for maximizing their health. Feel free to call Ranee, Sara, Stacey, Melissa, Jen or Nora any time at 301-631-6900. We can even set up a no cost tech appointment to look at your pets teeth and make suggestions. This entry was posted in dental cleanings, Dental health on November 19, 2009 by yourfriends. When working in an animal hospital you tend to see certain breed trends, or breeds that are becoming more popular. A breed we are seeing more oftern here at Kingsbrook is the Cavalier King Charles Spaniel. As an owner of a CKCS myself, I can understand why so many people fall in love with the breed. Cavaliers are a playful, happy, devoted breed that usually do well with children, cats and dogs. They require moderate exercise and grooming. A good walk and daily brushing will usually suffice. CKCS are sporting dogs so do not always do well with small mammals or birds. They often will chase anything that moves so keeping on a leash if not fenced is imperative. Heart Disease: CKCS are 20 times more prone to Mitral Valve Disease than any other breed. Syringomyelia: A progressive neurological disease of varying severity. A larger number of CKCS have this than any other breed. Since any of these can be severe enough to require care from a veterinary specialist it is important to realize owning a CKCS can become quite costly. My owne Cavie has had trips to a veterinary neurologist and regularly sees a cardiologist. We have a client here at Kingsbrook that owns two young CKCS and has already started saving for potential costly health issues later in life. Smart move!! The AKC recommends to check for ant hereditary diseases several generations back when considering purchasing a Cavalier. Even this does not guarantee a perfectly healthy dog. Although my sweet 14 year old Cavie requires a spread sheet to keep track of al his medications, I know I will own another one day. Before Aquiring a new pup, I will be researching it’s medical history and have a nest egg for major, unexpected medical concerns. Having owned a CKCS I know it is more likely than not that I will someday be spending money taking it to a veterinary specialist but also realize that they are worth every penny spent. This entry was posted in Cavalier King Charles Spaniel, dog breed on November 16, 2009 by yourfriends. Tail wagging is a behavior closely associated with dogs, who seem to engage in it more than other animals. The exact reason why dogs wag their tails may not be entirely clear, but it does seem to be linked with a desire to communicate information to other members of the pack. Being inherently social animals, dogs wag their tails to provide social cues. In combination with other body language, owners can use it as an indicator of how a dog feels about a situation. Some animal behaviorists theorize that dogs wag their tails to indicate submission. However, this is unlikely to be true, as a wide range of dogs wag their tails in different situations. Wolves, used for the basis of a great deal of behavior study, do not bear out the submission theory. For example, puppies approaching a mother to nurse will wag their tails, which suggests submission, but the mother wolf also wags hers, making this theory less plausible. It appears that dogs wag their tails in social situations only, and do not do so alone. It may be that dogs wag their tails in response to stimuli which they experience. The position of the tail also appears to have some bearing on the meaning. Further study may reveal the deeper reasons between why dogs wag their tails, and it probably also differs from dog to dog. A dog which keeps its tail high in the air while wagging it may be aggressive. Many large dogs wag their tails in this fashion to indicate that they are dominant. If a dog is holding its tail up and waving only the tip, you should approach with care, watching for other signs like the position of the ears or growling. If a dog has its tail between its legs, however, it indicates submission. Frightened or nervous dogs may wag their tails stiffly between their legs. Approach this type of dog cautiously as well, since dogs can bite or snap out of fright. When a dog holds its tail straight out, rather than up or down, it is a sign of interest and curiosity. 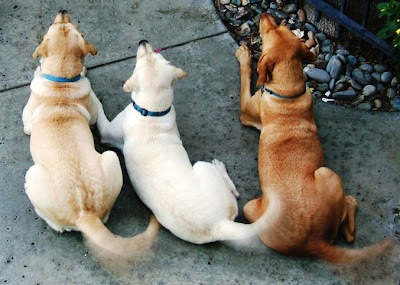 The majority of dogs wagging their tails in this position are friendly and interested in what is going on around them, and they do not pose a threat. Studies have also suggested that dogs who favor the right when wagging have a positive response to the stimulus they are experiencing, while dogs who bear left are having a negative response. This entry was posted in Tail wagging on November 13, 2009 by yourfriends. Hi, My name is Morky and I belong to Nora, a technician at Kingsbrook Animal Hospital. Do you have a dry, scaly nose like me. Or is your nose thickened and cracked. This is a very common problem in many dogs as they age and in some specific breeds such as boxers and bull dogs. The manifestation of these signs can be a primary problem or can be secondary to some other underlying disease. Something that commonly happens when a nose exhibits these characteristics is that there can be a secondary yeast and/or bacterial infection. Some dogs will build up mucoid discharge in there nose, sometimes on just one side or maybe both, that can impede breathing effort and result in a congested sounding airpassage. This condition is commonly called hyperkeratosis and my case is farely mild but chronic. I am 11 years old and have had this condition since I was about 7. My mom tries to keep my nose moist and conditioned with a vitamin E roll on that she applies to my nose 2-3 times a week. Periodically when it looks worse she has the doctor check a cytology to see if bacteria or yeast are present and treat those things accordingly. If you need help with your dry, scaly, thickened nose ask your friends at Kingsbrook Animal Hospital what your mom can do to make it better. This entry was posted in dry nose, Hyperkeratosis, scaley nose on November 10, 2009 by yourfriends. Our clients have come through again! 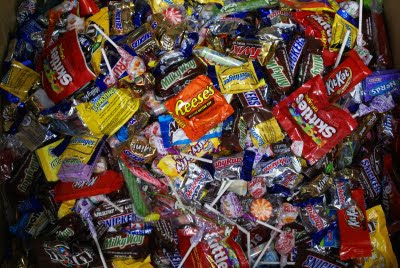 We have collected 137 pounds of Halloween candy to send overseas to our troops. Thank you for supporting our brave men and women who are serving in the Armed Services. This entry was posted in halloween Candy Drive, halloween candy drive troops on November 9, 2009 by yourfriends.